From roasted turkey to fruitcake, Christmas is often celebrated by sharing meals with loved ones. Elks look out for those in need to ensure that all community members have enough to eat while celebrating the season. Using an Elks National Foundation Beacon Grant, Elks from Putnam, Conn., Lodge No. 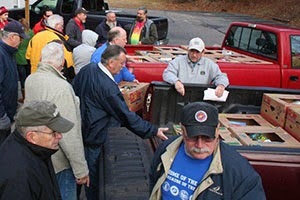 574, purchased, packed and delivered meals to 93 families, providing them with fresh food and the best Christmas gift of all—the knowledge they have the support of the Elks. 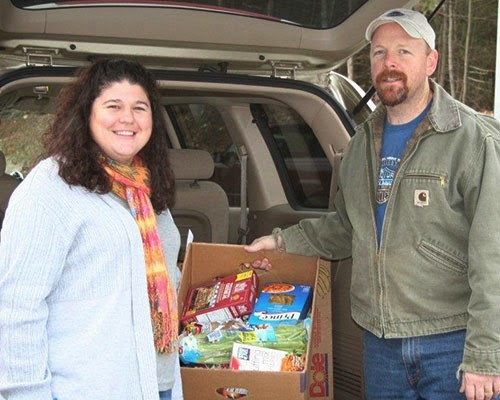 This Beacon Grant project allows the Lodge to connect with other community organizations. To determine those in need, Elks partnered with the Housing Authority and local schools. Elks also work closely with a Putnam grocery store, which provides the food and helps prepare it for delivery.